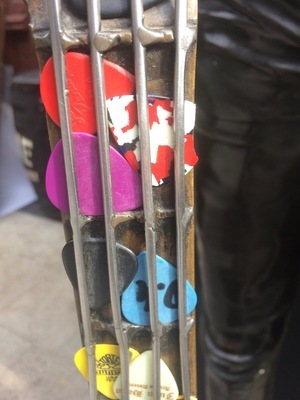 Posted in Misc and tagged Phil Lynott, Plectrums at 2:59 pm on April 11, 2019 by Bodger. By artist and illustrator Jack Field (@jayfik). 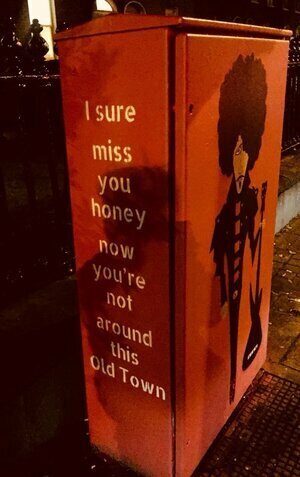 Would Philo even recognise the old town? Some things changed for the better. Others not. 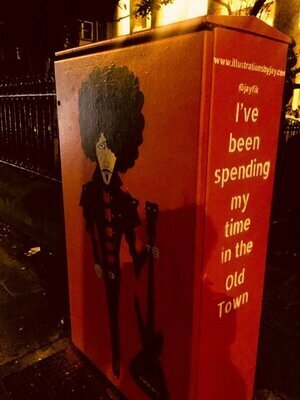 Posted in Misc and tagged Phil Lynott, Rathmines, tribute at 9:55 am on March 16, 2018 by Bodger. 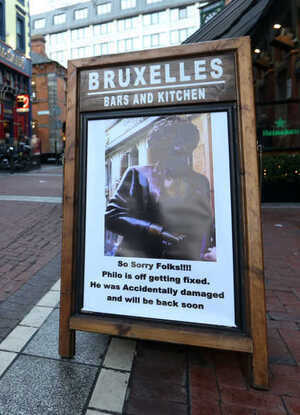 Philo is The Real Crumlin. 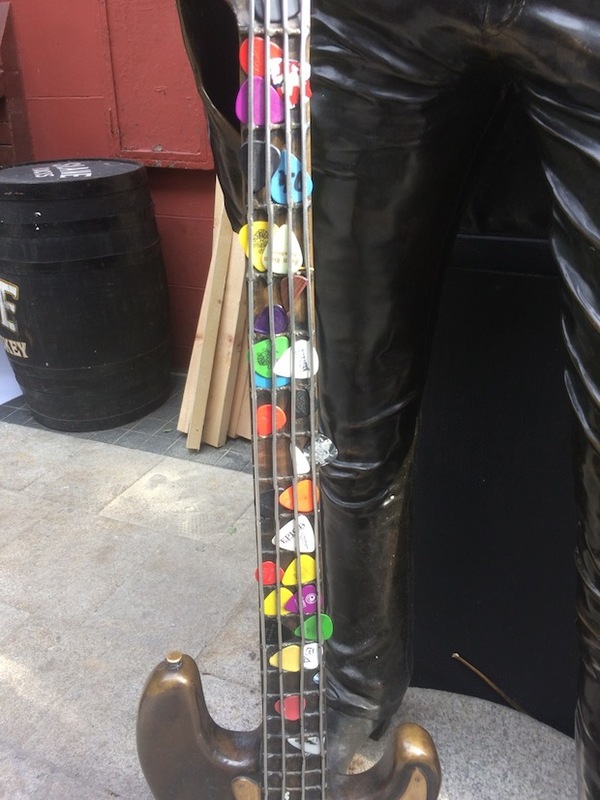 TODAY is the day Fintan O’Toole should have published *that* article…. 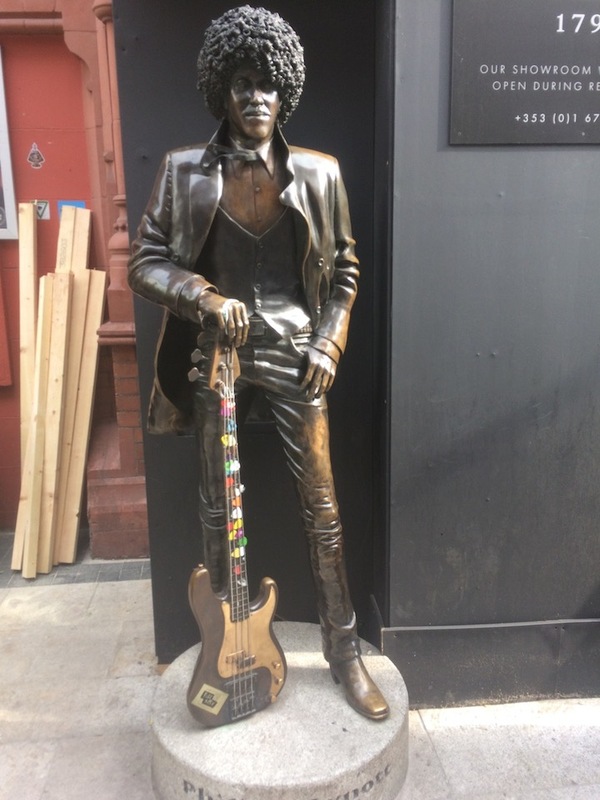 Posted in Misc and tagged Phil Lynott at 4:41 pm on January 4, 2018 by Bodger. On my way to work, I saw a middle aged builder walking towards me. A big, burly fella with tattoos. Not the kind of bloke you’d want to pick a fight with. No softy! 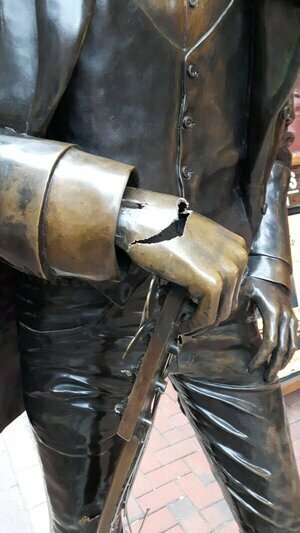 Anyway, he stopped dead in his tracks. 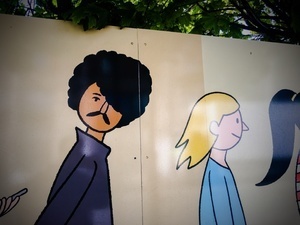 Looked up at this cartoon image of Phil Lynott (above) on the wall and with childlike awe, placed his hand on the image. That moment, a massive smile burst across his face. We could all learn from his ability to appreciate the little things in life and let the inner child peep out every now and then. A nice moment. 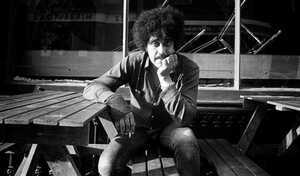 Posted in Misc and tagged Phil Lynott at 10:37 am on August 2, 2017 by Broadsheet. 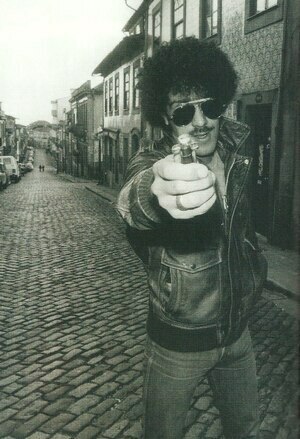 Phil Lynott, bassist and singer of Thin Lizzy, and the daddy of Irish rock departed this life on this day in 1986. Streaming above: a session version of Cowboy Song, recorded for the BBC on the 12th of February, 1976. The most iconic Lizzy tune? Posted in Music and tagged Phil Lynott at 2:34 pm on January 4, 2017 by Broadsheet. 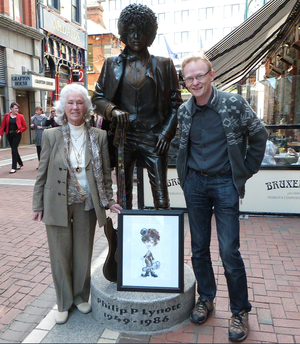 Phil Lynott’s mum Philomena receiving a portrait of her son dressed as Charlie Chaplin by Dublin caricature artist, Ray Sherlock ahead of this weekend’s Chaplin Film Festival in Waterville, Co. Kerry. On Sunday there will be a Guinness World Record attempt to have the largest gathering of people dressed as Charlie Chaplin. 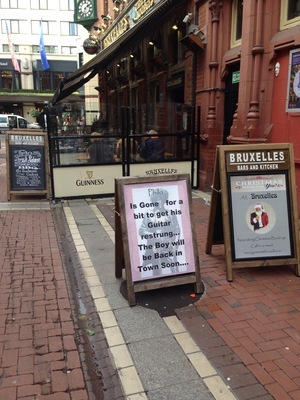 Also on Sunday, A Birthday Party For Phil will take place at the Bloody Stream Pub in Howth, Co Dublin from 3pm. 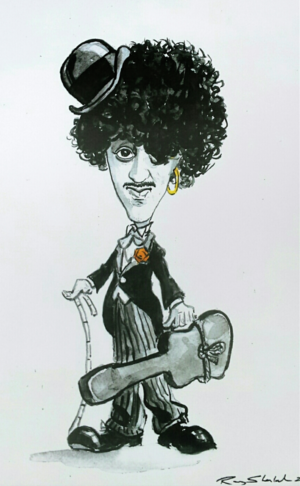 Posted in Misc and tagged Charlie Chaplin, Phil Lynott at 12:11 pm on August 21, 2015 by Broadsheet. This is a good news story…You may already know this, or it may be well covered in Ireland, I am in Australia, so I can’t tell. The Gary Moore song, Parisienne Walkways, with Phil Lynott on vocals, was played for the men’s figure skating gold medal: I am watching it now, it sounds like the LP or 12 ”version. 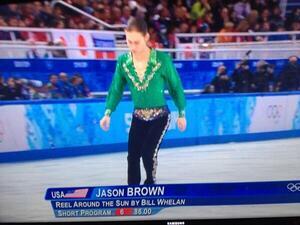 USA’s Jason Brown skating to ‘Reel Around The Sun’ from Riverdance. 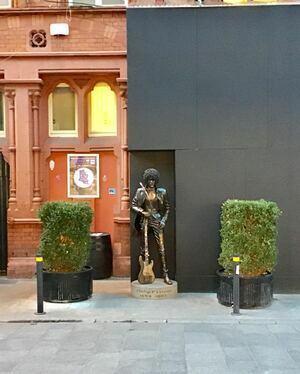 Posted in Misc and tagged Phil Lynott at 1:21 pm on February 14, 2014 by Aaron McAllorum.